Indian Institute of Management, Udaipur, takes great honor in announcing the successful completion of the Summer Placements 2013-14. The institute once again takes pride in 100% summer placements in spite of 11% increase in batch size. This season saw participation of several reputed organizations across various sectors such as Banking, Financial Services and Insurance (BFSI), FMCG, Consulting, E-Commerce, Pharmaceutical / Healthcare, Retail, Energy and Conglomerates among others. BFSI emerged as the largest sector making offers to 25% of the batch. 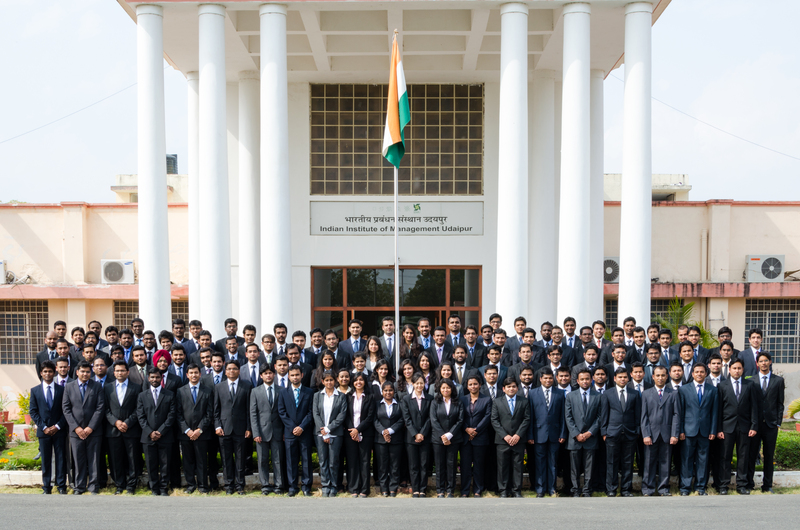 IIM Udaipur witnessed participation from a total of 56 companies, marking a 22% increase over the previous year in the Summer Placement process for the 110 students of the Post Graduate Programme (PGP) 2013-2015. This year saw many prominent brands visiting the campus for the first time, a few names being Aegis Global Ltd., Boston Consulting Group, Cummins, Future Group, Dover Corporation, Marico, Maersk Line, Sundaram Mutual, Talisma and many more. This strongly reflects the rising distinction of the institute and the increasing value of its talent in the industry. Several past recruiters like GE India, ICICI Bank, ICRA, KPMG, Infoedge India (naukri.com), Mapro, Xpress Money, UAE Exchange, Vedanta and others have continued to show confidence in the quality of the students and the management education imparted. 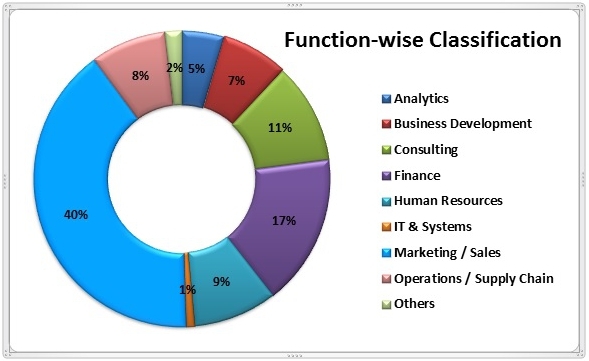 With the varied professional and educational diversity of the batch, students have been offered with a variety of profiles like Finance, Marketing, Consulting, Operations, IT/Analytics and HR. Various profiles of Business Development, Strategy design and execution have been provided by different start-ups. Also, the institute is the first B-school from India to partner with the prestigious Global Business Project consortium through which selected students get an opportunity to work with the very best management graduates from a set of 12 global universities namely UNC-Chapel Hill, Columbia, George Washington University, Lingnan College, Miami, Maryland, Purdue, Pittsburgh, San Diego State, the University of Connecticut, and University of Wisconsin & UNISINOS. The project will provide the students with an opportunity to work with top global companies who recruit MBAs as well as with fellow MBAs from different backgrounds, countries and culture. Three of our students will be working for clients HPCL, Eli Lilly and Handwriting Without Tears in consulting projects which will help them gain an international business experience complementary to the academics. IIM Udaipur believes in doing things differently and focuses on maximizing the utility of the summer internship program. The students have been selected to work for Trunz Water Systems, a Switzerland based firm on a project that will be completely handled by the students and they will carry out the commercial-feasibility analysis. The students will get an opportunity to work in collaboration with the students from the University of St. Gallen, thus giving them exposure of working with a global team and analyzing from a global perspective. IIMU is one of the few institutes in India which follow IPRS Reporting Standards for placement reports. An unaudited detailed report of the placements can be found at: http://www.iimu.ac.in/images/pdf/iimu_summer_placement%20report_2013-15.pdf. The audited report of the placements will be shared soon. Other communications regarding the placements can be found at: http://www.iimu.ac.in/corporate/placements/placement-report.html.